Attenuated Total Reflection (ATR) Spectroscopy is now the most frequently used sampling technique for infrared spectroscopy. This book fully explains the theory and practice of this method. MILAN MILOSEVIC works as a consultant in the field of optical spectroscopy for MeV Technologies, LLC. 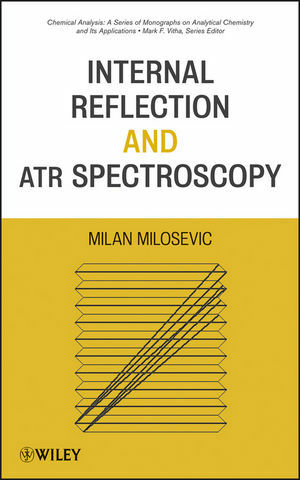 Milan has spent his entire career in the field of FTIR spectroscopy, developing spectroscopic equipment and building our understanding of the physical basis of spectroscopy. He has pioneered several devices for what have become standard spectroscopic techniques, including micro ATR, variable angle ATR, and grazing angle ATR spectroscopy. Holding over fifteen US patents, Milan has authored or coauthored over thirty peer-reviewed papers on various aspects of spectroscopy.